Protect your identity. 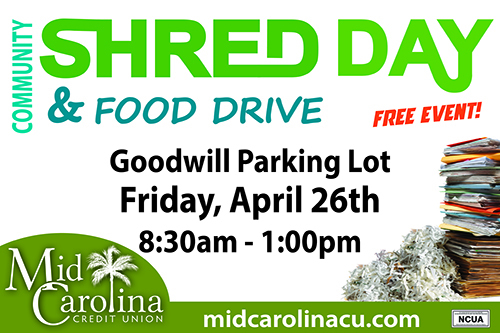 Come to our shred event with your unwanted personal documents. This event is free and open to the public. While you're coming, we ask, that you please donate at least two canned goods to our community food drive. All donations will go to the Christian Community Ministries food pantry and help those right here in Kershaw County.